It has been awhile since my last post and I thought I had already reviewed some of the beers from this brewery but alas..I was mistaken, so here we go! Heavy Seas brewery from Baltimore, MD has become one of my favorite breweries. Unfortunately where I currently am it isn’t always easy to find their beers. Never afraid of a challenge I searched for it and found it but only in sampler 12 packs. 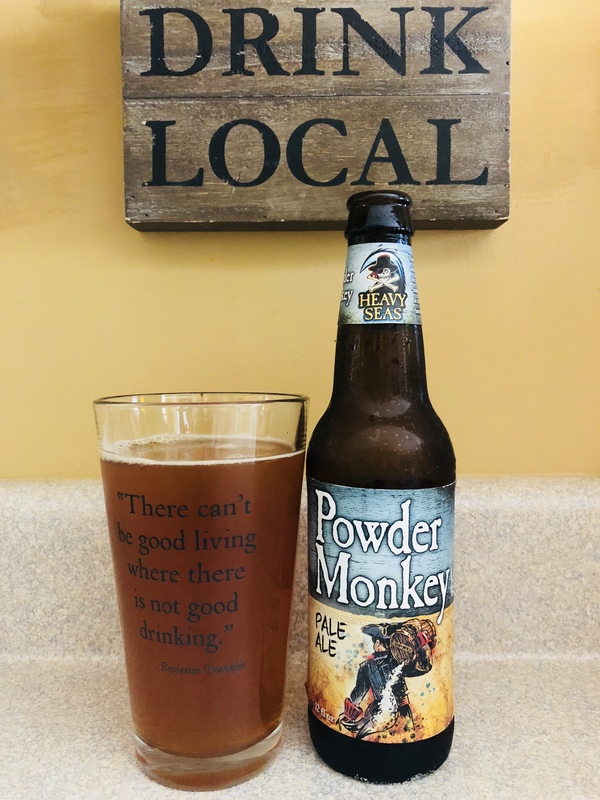 Today’s offering is “powder monkey” it’s a pale ale and I got it out of the “sunken sampler”. It’s an English style pale named after the poor chaps that had to carry the heavy barrels onto the ships. It has an almost orangy color not quite copper, no distinct smell at all. The taste has a slight malt flavor but nothing overwhelming and with its 4.8% alc content its not something I would purchase alone and would only use as a buffer in between heavier beers. Not one of their best beers but better than a Budweiser. 1.5 stars, enjoy!